Spread the word and schedule messages to multiple social networks to boost awareness of your Facebook promo with Hootsuite in TabSite Engagement Apps! TabSite has integrated Hootsuite social media post planning. 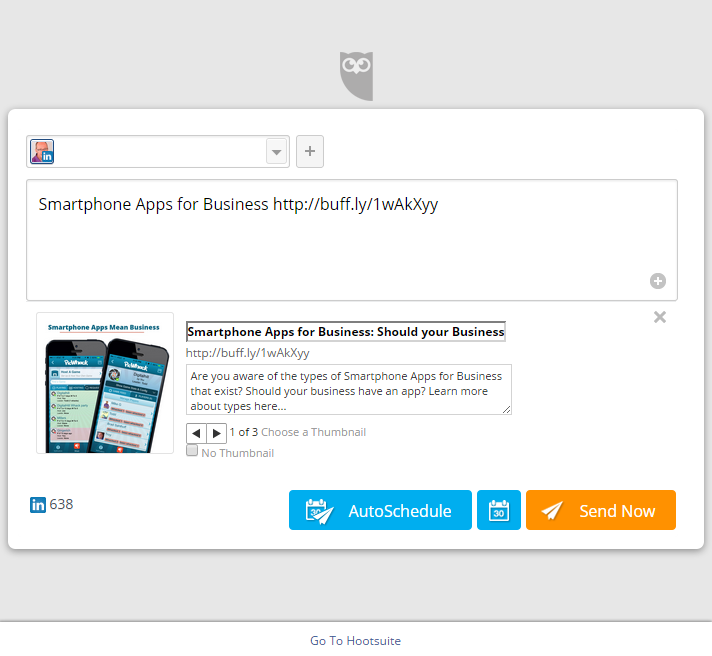 Now all TabSite users have the ability to schedule Hootsuite posts right from within TabSite Engagement Apps. 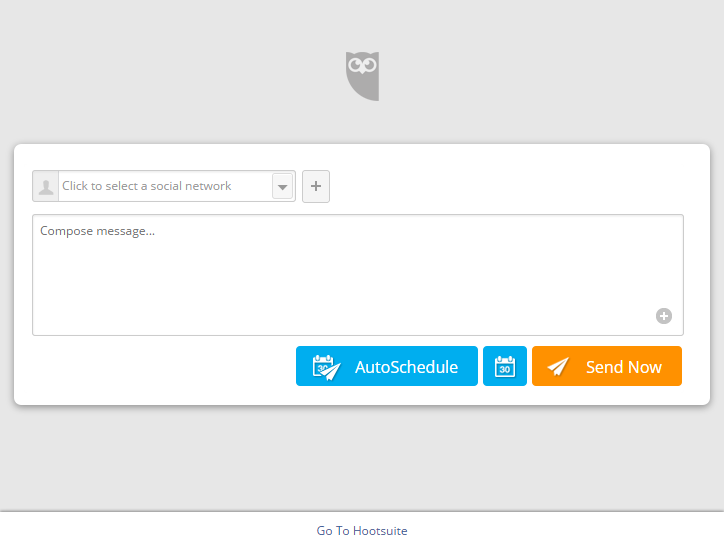 Now while launching your contest or deal you can now easily also plan messages via your Hootsuite account. By default when setting up or updating a TabSite Engagement App, TabSite adds the mobile, Smart URL to the post, making it easy to broadcast your promo, and making it easy for web and mobile users to access your Facebook tab. In each Engagement App is a Promotional Tools area. Within this TabSite users will now see a Hootsuite button. Clicking the button opens ability to login to a Buffer Account. 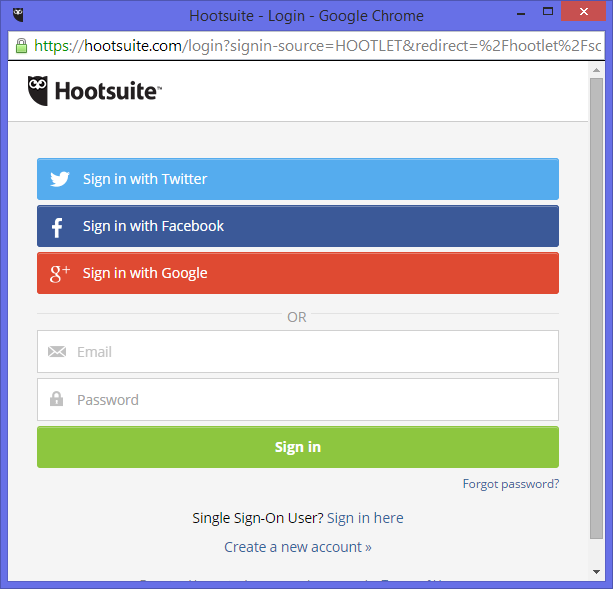 Once the Hootsuite login is authenticated, the familiar Hootsuite interface for post planning appears in a new browser window. TabSite automatically pre-populates the tab Smart URL. Use this URL and mobile tablet users can access the tab as well as desktop users! With this being added automatically it makes the process of creating your post simple and seamless.